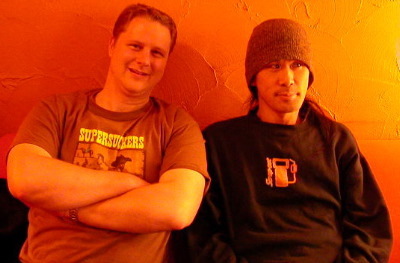 This is a picture of my friend Jun and I at some bar/cafe in Roppongi. We met while he was in Vancouver. Also present was Saya, she took the picture.